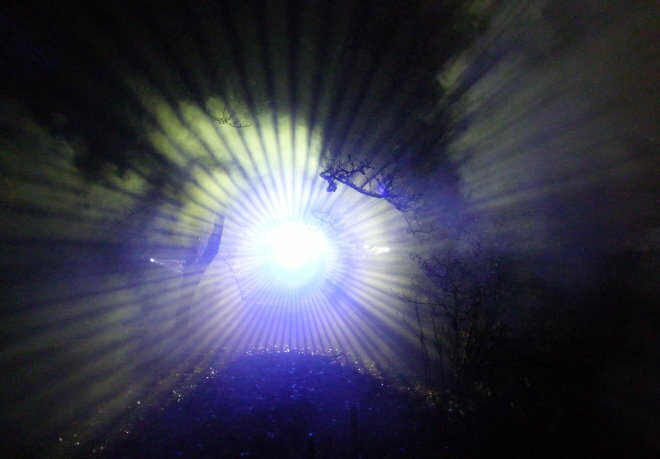 I took this photo at Westonbirt Arboretum‘s Winter Wonderland. What an exquisite display of light and shadow. To me it resembles the moment in a movie or sci-fi show when the characters spy something unearthly in the woods. What might be happening here? Could it be an alien encounter, or something far more inexplicable?